Natalia graduated from the University of Warwick with a BA (Hons) in History in 2012. She then completed her Graduate Diploma in Law at the University of Law in 2013 and was called to the Bar of England and Wales by Lincoln’s Inn in 2016. Natalia went on to achieve a distinction in the Legal Practice Course. Natalia is currently a trainee solicitor in the Public Law department. She initially joined the department as a caseworker in November 2016. 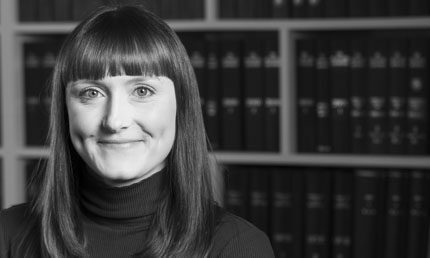 Natalia predominantly assists the department in judicial review proceedings against public bodies and civil claims for false imprisonment. Natalia has also worked on a range of community care matters and asylum appeal cases. She has experience in working with very vulnerable clients including unaccompanied asylum-seeking children, victims of trafficking and torture and clients with serious mental health problems. In her spare time Natalia is a volunteer reporter for an online magazine about law and justice called The Justice Gap. Prior to working at Wilsons, Natalia spent time volunteering as a legal intern at the Projects Abroad Human Rights Office in Cape Town, South Africa. This involved providing legal advice and representation to people unable to afford legal help on a range of matters, including immigration. Natalia also volunteered as a Victim Support Worker for the charity Victim Support whilst studying for her Graduate Diploma in Law in 2013. Interests: Travel, reading, musicals and spending time with family and friends.